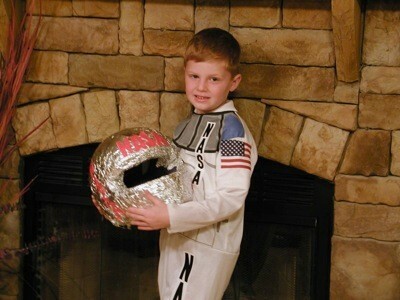 My grandson came home one day after school and said he wanted to be dressed as a astronaut for "What You Want To Grow Up To Be Day." So we threw together a costume using what we had around the house. I think he is the most handsome astronaut I know. Gotta love him!